3]•). 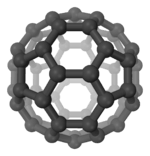 It is a metastable colourless gas, which is mainly produced in situ as a precursor to other hydrocarbons in the petroleum cracking industry. 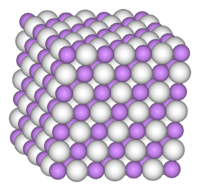 It can act as either a strong oxidant or a strong reductant, and is quite corrosive to metals. The molecular geometry of the methyl radical is quasi-trigonal planar, although the energy cost of distortion to a pyramidal geometry is small. Substitution of hydrogen atoms by more electronegative substituents leads to radicals with a pyramidal geometry, such as the trifluoromethyl radical, CF3. For more details on this topic, see Atmospheric methane § Removal processes. This process begins the major removal mechanism of methane from the atmosphere. The reaction occurs in the troposphere or stratosphere. 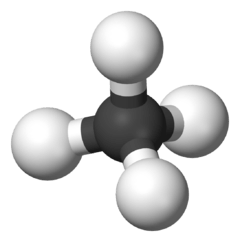 In addition to being the largest known sink for atmospheric methane, this reaction is one of the most important sources of water vapor in the upper atmosphere. This reaction in the troposphere gives a methane lifetime of 9.6 years. Two more minor sinks are soil sinks (160 year lifetime) and stratospheric loss by reaction with ·OH, ·Cl and ·O1D in the stratosphere (120 year lifetime), giving a net lifetime of 8.4 years. Methyl radicals can also be obtained by pyrolysis of azomethane, CH3-N=N-CH3, in a low-pressure system. 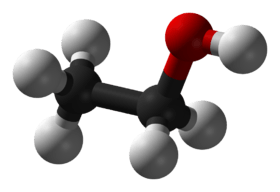 Methyl was discovered in interstellar medium in 2000 by a team led by Helmut Feuchtgruber who detected it using the Infrared Space Observatory. It was first detected in molecular clouds toward the centre of the Milky Way. ↑ Hall, G. E.; Vanden Bout, D.; Sears, Trevor J. (1991). "Photodissociation of acetone at 193 nm: Rotational- and vibrational-state distributions of methyl fragments by diode laser absorption/gain spectroscopy". The Journal of Chemical Physics. AIP Publishing. 94 (6): 4182. Bibcode:1991JChPh..94.4182H. doi:10.1063/1.460741. ↑ "Trace Gases: Current Observations, Trends, and Budgets". Climate Change 2001, IPCC Third Assessment Report. IPCC/United Nations Environment Programme. ↑ "ISO detects a new molecule in interstellar space". Science & Technology. European Space Agency. Retrieved 17 June 2013.